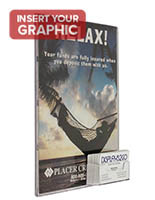 These 8.5" x 11" sign holders with magnetic standoffs are made for any commerical location. 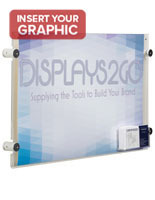 The acrylic design is made to protect your graphics and prints. 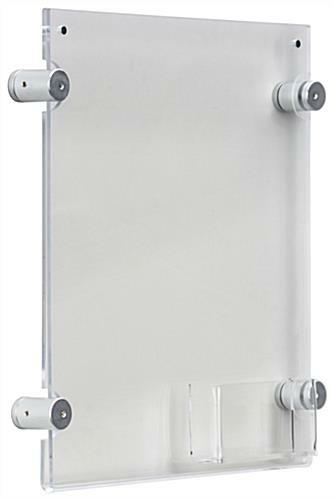 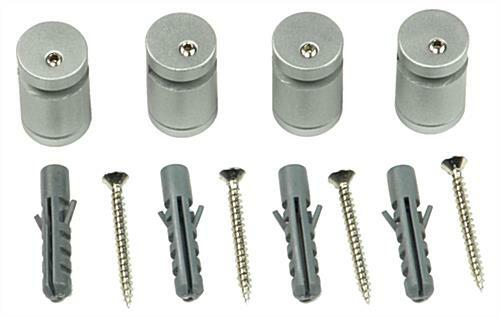 Each clear sign holder comes with 4 silver standoffs for wall mounting purposes. 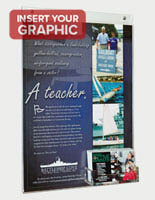 Place special notices or promotions within the frame for maximum exposure. 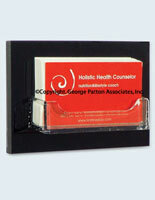 These holders are made to be used in vertical orientation. 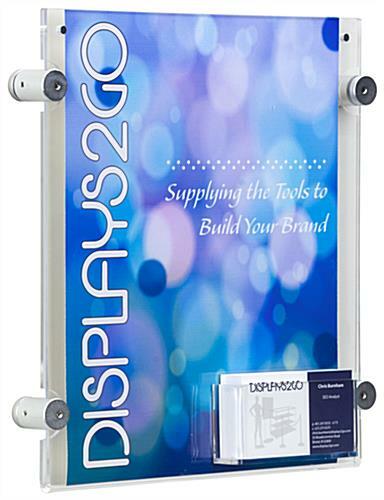 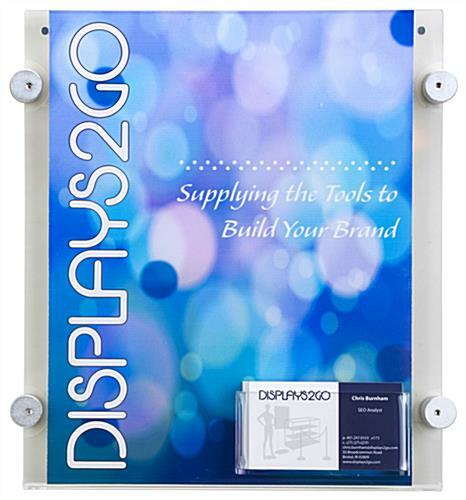 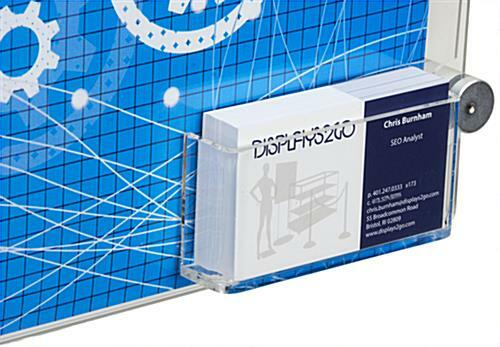 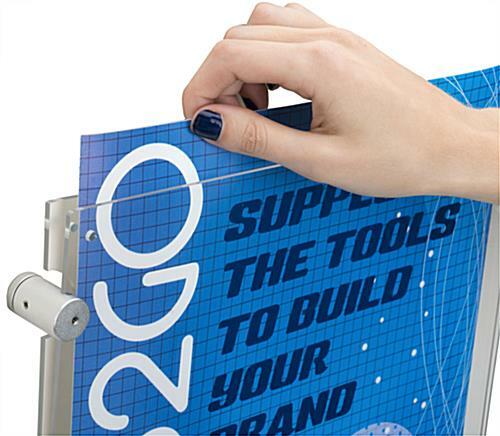 Order for your business today at wholesale prices for all your marketing and display needs! 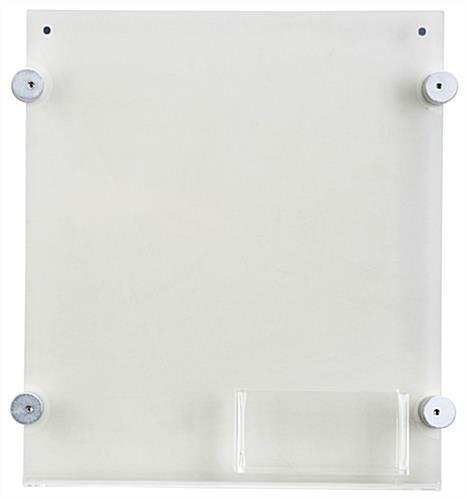 8.6" x 12.3" x 1.3"